The Everett Police Department is proud to help the Original Roadhouse Grill spread the word out about a fundraiser for the families of the four Lakewood officers killed in the line of duty. On December 12th, 100% of the restaurants proceeds will be donated to support the families. The Everett Original Roadhouse Grill, located at 11804 Evergreen Way, will open its doors at 10:30 a.m. on December 12 and will remain open until 11:00 p.m. Donations will also be accepted outside the location. 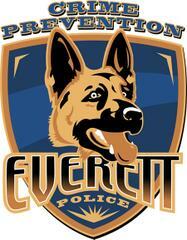 Colby the Everett Police Crime Prevention Dog will be making an appearance at this event. Help us get the word out and thank you for your support!